It has been a few weeks since I’ve written on this blog. I was on vacation: back east for two family events spread out over two weekends. Both events were joyful, but in different ways. The first was joyful prospectively—Memorial Day weekend my niece graduated from Bard College. Everything there was about the future. The event the following weekend was joyful, but retrospectively. 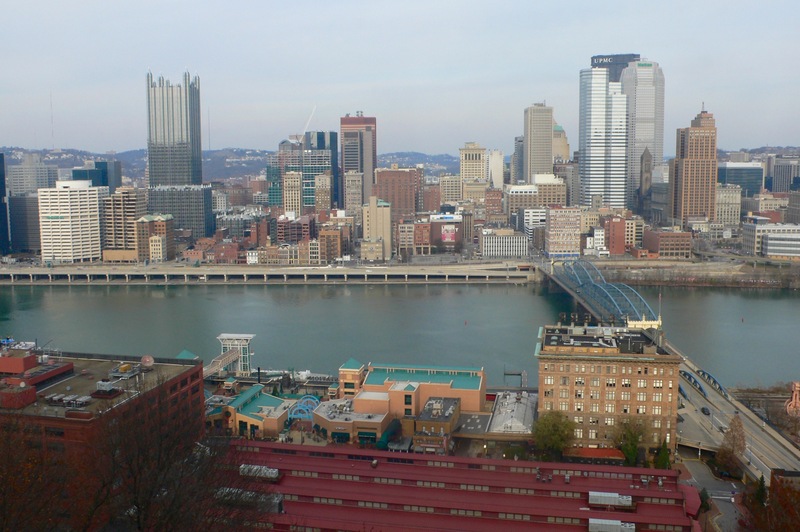 It was a celebration in Pittsburgh of the life of my wife’s mother, who died in March. We call these events memorials, because they are about memory and the past, but in this case the memories were of a former future that was very much fulfilled. Between the weekend events I spent the week in New York City. So, in the span of 10 days my travels took me from small town America (Bard is located on the Hudson River 100 miles north of New York City), to New York, America’s greatest metropolis, and then to Pittsburgh, a midsized former industrial city that’s been remaking itself for a few decades as a center for higher education, research and healthcare. 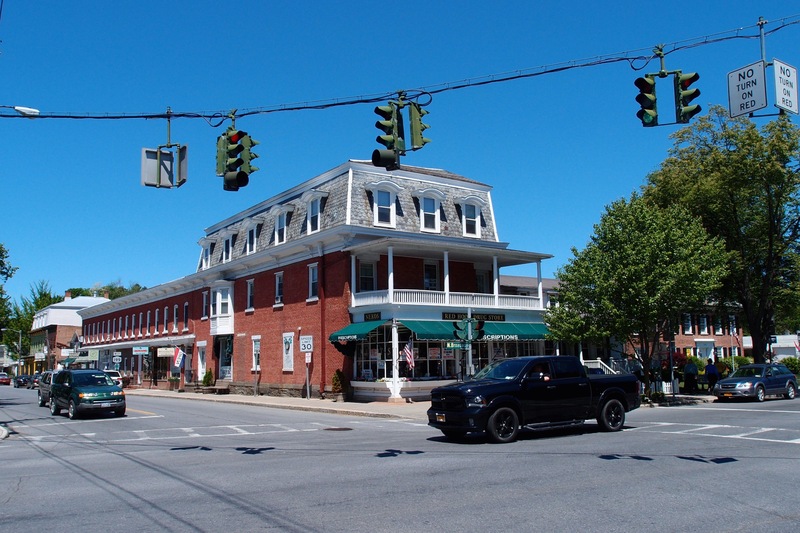 Here’s a picture of downtown Red Hook, the village near Bard where my niece lived as a student. 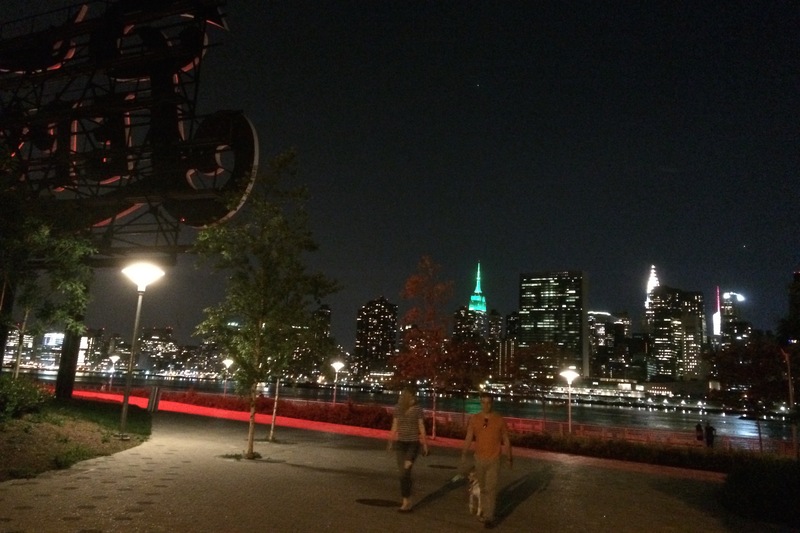 And here’s Manhattan, as seen from the new state park on the East River shore in Long Island City, Queens. None of these places look like Santa Monica. Few places do. It’s funny how people here often either express fear or hope that Santa Monica is going to become something it isn’t or change from something it’s never been to something it will never be when it would take an awful lot of change to make Santa Monica something fundamentally different from what it is. I may have taken a vacation, but Santa Monica news didn’t. The big news was the hiring of Rick Cole to be Santa Monica’s new city manager. I was surprised and thrilled. The surprise mostly had to do with the apparent unanimity among the City Council members over the choice of Cole, in particular the enthusiasm that emanated from both Mayor Kevin McKown and his immediate predecessor as mayor, Pam O’Connor. The conventional wisdom is that the two of them “couldn’t agree on lunch” (to borrow Abbie Hoffman’s explanation for why the Chicago Seven could never have conspired to disrupt the 1968 Democratic Convention), yet they both seem more than happy with the hiring of Cole. But that just goes to show how conventional one’s wisdom, including my own, can be, which brings me to the “thrilled” part. Sure, we might, and McKeown and O’Connor themselves might, focus on dramatic disputes over what are in the big scheme of things small differences, but that doesn’t mean that both of them can’t appreciate the manifest talent and abilities of a Rick Cole. What’s truly remarkable (but I don’t want to call it surprising) about the decision to hire Cole is that the council members must know that they are getting someone who has ideas, and ideas that go beyond balancing budgets and negotiating contracts. In Santa Monica, city councilmembers usually like to be the idea-generators. It’s a good thing that they are open to someone who has that vision thing. What are those ideas? I can’t predict what Cole will come up with next, but going back to the ’80s, in Pasadena, Cole was one of those who started imagining what a post-sprawl city could and would look like. He was one of those people who didn’t believe that our civilization was inexorably doomed to take the form of freeways and shopping malls. As it happened, at the time there were people thinking the same way in Santa Monica, and the rejuvenations of the Pasadena and Santa Monica downtowns reset the thinking for the future of Southern California. At the same time, the council’s decision to hire Cole must have been made easier because his values (and as anyone who was spent even a little time with Cole will tell you, values mean a lot to him) are in sync with those of the council members. What are those values? Simply put, and I’m basing this upon the work he has done in his career, Rick Cole cares about the well being of people. While this includes what is usually included in phrases like “livability” or “quality of life,” Cole extends his caring to those who don’t necessarily have the luxury of merely worrying about the quality of their lives. Social justice and a helping hand to those who need it have been part of Cole’s agenda wherever he has worked in government. Along with ideas and values, Cole has a level of experience, as a city councilmember and mayor in Pasadena, as a planner, as a city manager in Azusa and Ventura, and most recently as a deputy major in Los Angeles, that isn’t matched by anyone in municipal government in (at least) Southern California. Cole believes in the potential of government to solve problems, and it’s not surprising that Governing magazine once named him a public official of the year. This doesn’t mean, however, that Cole believes that government solves problems alone, or from the top down. Wherever Cole has worked, he has been known for not only being a great listener, and for getting members of the public to listen to each other, but also for pushing for small-scale actions that residents and volunteer groups can take themselves. It’s refreshing to know, or to have confirmed, that the members of the Santa Monica City Council, however they may disagree about one thing or another, can agree on Rick Cole. This entry was posted in Uncategorized and tagged Kevin McKeown, Pam O'Connor, Rick Cole, Santa Monica City Manager by Frank Gruber. Bookmark the permalink. There are some giant egos on our city council but I hope they will make good use of Cole. Also lets hope that the no-growth zealots can have a bit more confidence in the council and Cole, but it’s probably not realistic to see them giving up what they, perhaps correctly, perceive as their veto power over the city council. Wouldn’t a defeat of their potential ballot issue be great. Let us hope that Cole can transcend entrenched thinking and transform our city into a thing of incredible beauty and serenity.